Pretty much everything about our first two weeks on the Southwest Border has been intense: the blistering heat and sun; the jagged mountain and sweeping desert landscape, the long hours we’ve been in meetings and interviews; and most of all, the devastating stories of suffering and injustice we’ve heard and the passionate men and women we have met who are working with and for migrants down here. 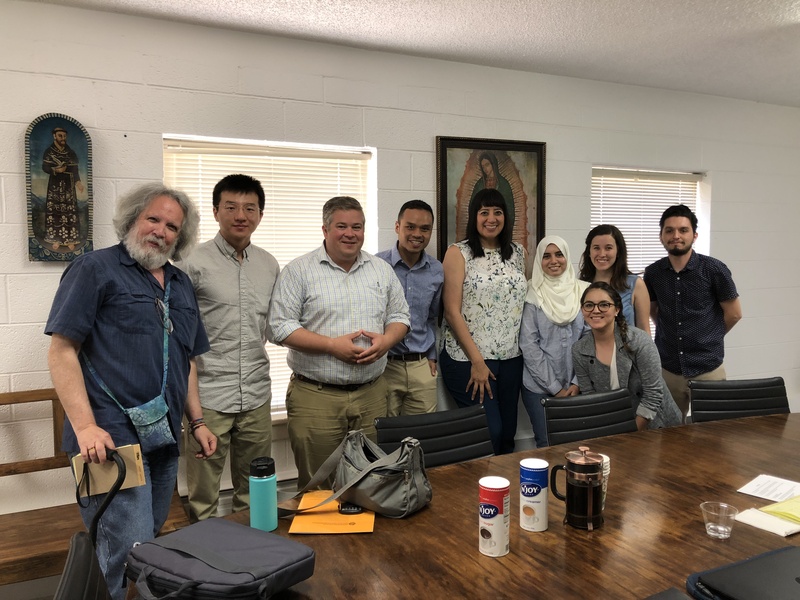 The four of us on the U.S. Conference of Catholic Bishops Migration and Refugee Services team knew we were walking into a tough context in starting on the U.S./Mexico border, but I don’t think we could have prepared ourselves to receive all that we’ve seen and heard. It is hard for me to sum up the experiences of these past few weeks, so instead I will try to give a sense of what we have been witnessing, and the memories we are now intentionally trying to hold with us and process. 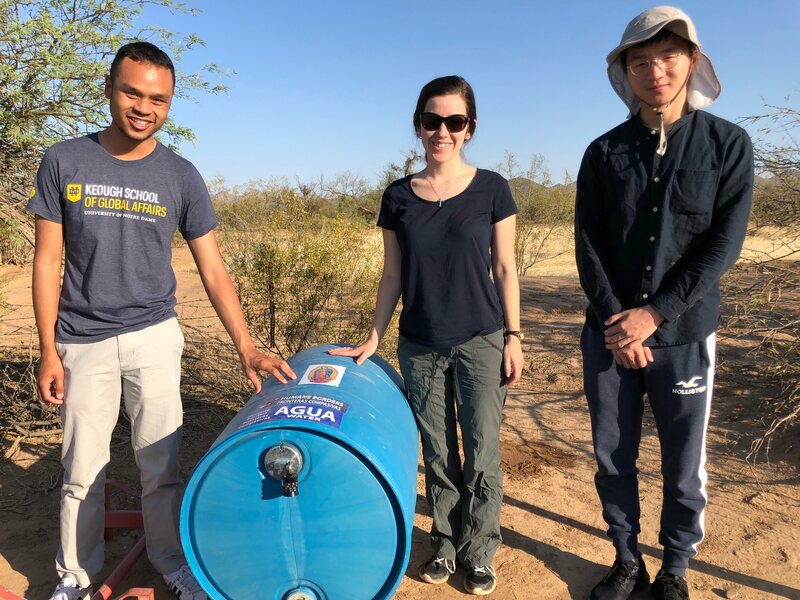 Driving and walking through the arid and vast Sonoran desert in 105-degree heat, helping humanitarian aid workers fill up water tanks for migrant travelers. We encountered “artifacts” left behind by migrants—a child’s shoe, black water jugs, a rosary that now adorns a wooden cross marking the place where the body of a migrant was recently found. We paused at the wooden cross, and let the sun beat down on us, as we took a moment of silence for that loss of life. A middle-aged man sitting with us at an aid center for deported migrants in Mexico, openly crying into his hands, covering his face as he told us his story of having been deported from the home he’s known for 20 years, away from his U.S.-citizen family members. 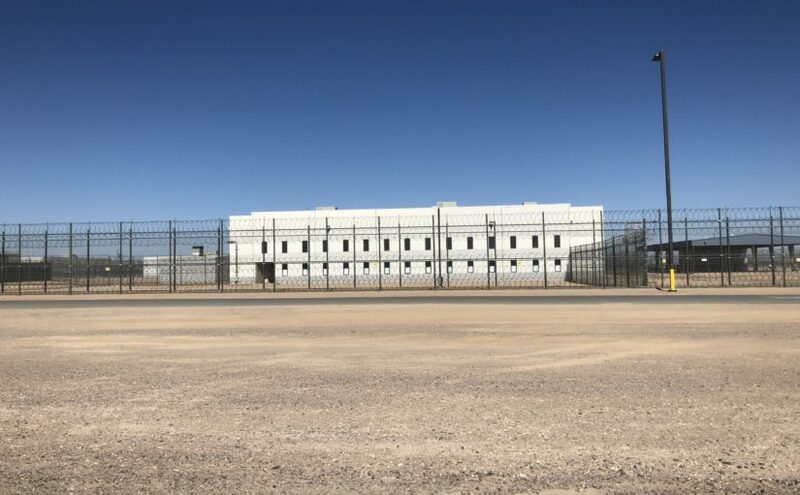 The journey into an administrative detention center in what seemed like the middle of the desert, surrounded by two layers of electrified barbed wire, housing a majority of people who have committed no official crime: seeking asylum in the United States. The sight of a woman holding the hand of a tottering toddler, wearing a t-shirt that read “Life is Beautiful” in English – true words that struck me, painfully, as unreflective of her circumstances. 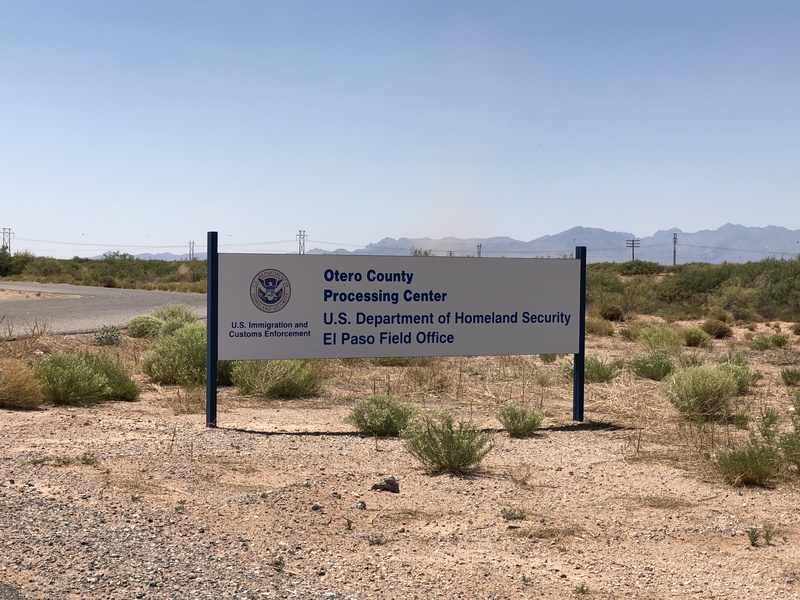 She was walking along the open-air waiting area at the border into the U.S. in Nogales, Mexico, and was one of about fifty people sleeping on the sidewalk as they waited to be processed as asylum seekers. Most likely they will be turned away, though they have walked hundreds of miles to escape violence. If they are accepted for processing, the families with children will likely be separated. Twenty men, shackled and chained, walking into a courtroom where they were tried en-masse in the course of about thirty minutes—in a language and legal system foreign to them. They were given a criminal sentence for crossing illegally, which bars them from ever getting citizenship in the U.S.
A five-year-old boy lying on the concrete floor of a children’s detention facility as the staff tried to coax him to participate in the children’s group activity. They told us he was separated from his parents at the border and has been fairly despondent since then. These are some of the hard moments we have witnessed. It has all weighed heavily on us, to be honest. But we are also filled with hope daily by the incredible people we have gotten to meet who are giving their lives to addressing injustice on the border. We have definitely seen the “bright spots” we’ve been charged to look for by our partner organization: instances in which the rough reality of migration is ameliorated by the relentless efforts of people who refuse to allow for long-term family separation at the border, who decry the militarization of their hometowns and the construction of a wall which denies the reality of seamless Mexican-American border communities, and who work round-the-clock responding to the legal and humanitarian needs of migrants. How all of these “bright spots” will translate into policy recommendations, we still do not know (goodness knows people down here are trying to figure that out, too). But local communities are responding out of love, hope, and stubborn faith that these current policies cannot last forever. And so we four Keough students feel very privileged to bear witness to all of this, despite the intensity.